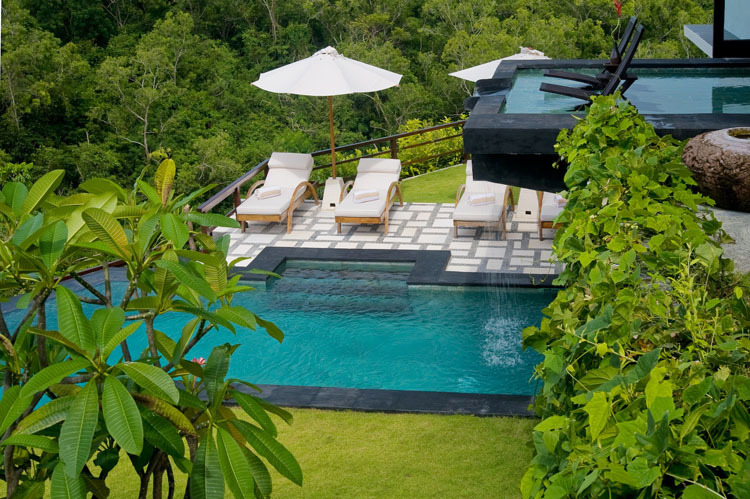 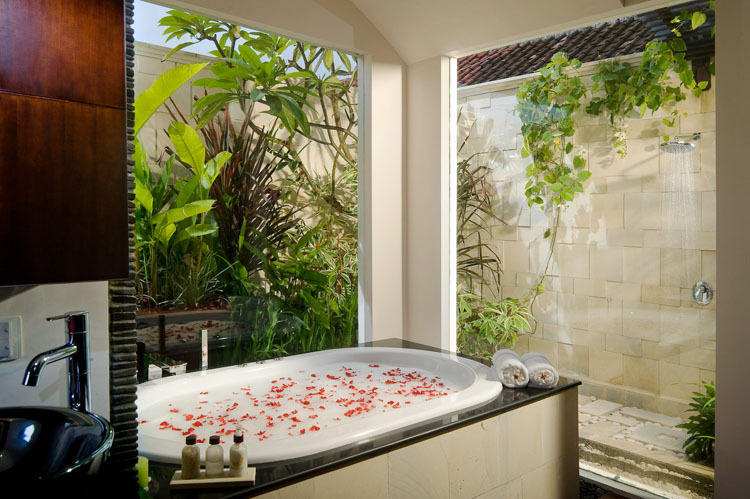 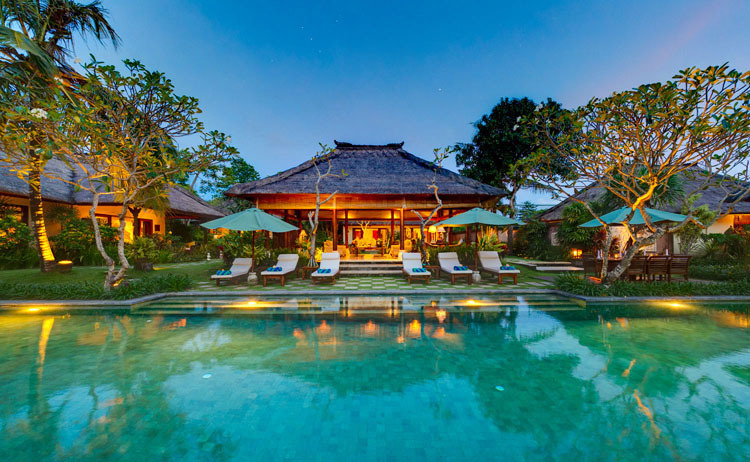 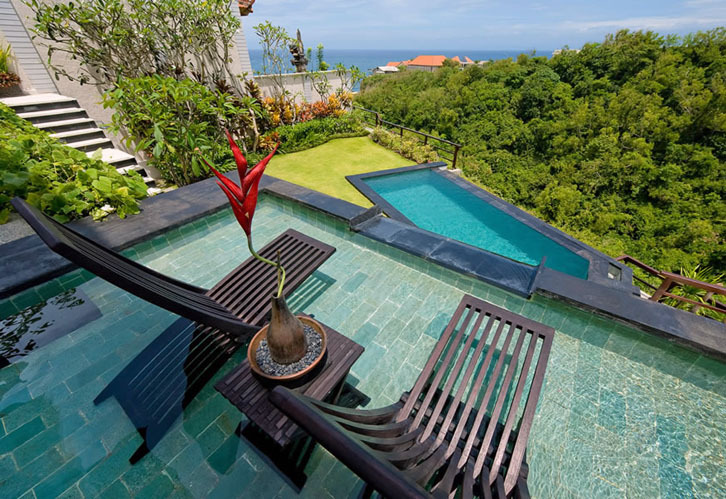 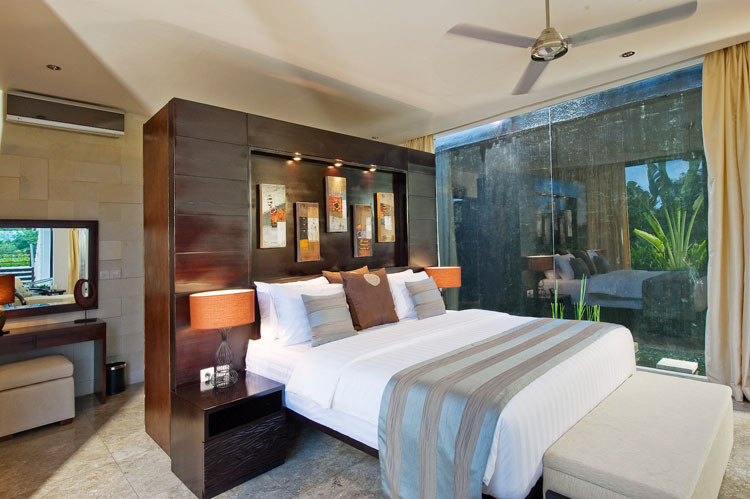 Villa Moonlight is a top-grade place to feel the pleasure that Bali has to offer. 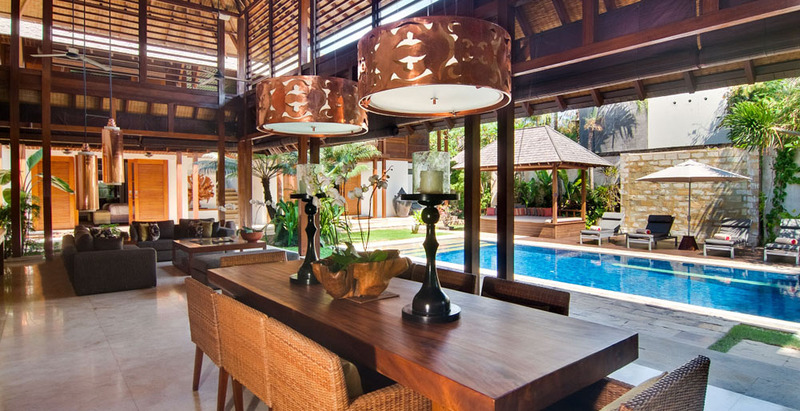 This family home will delight you with its situation. 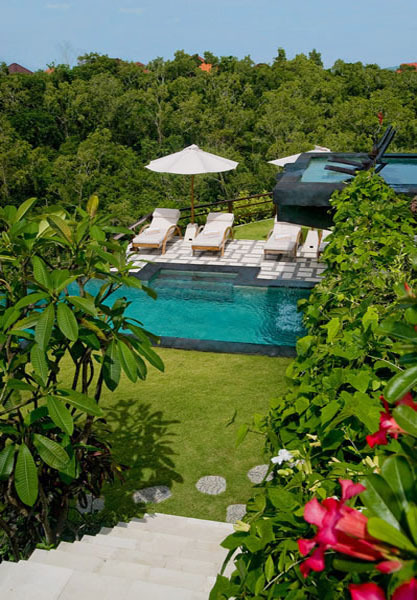 Located in the famous district of Bukit, it enables a 360 degree view on mountains, ocean and forests. 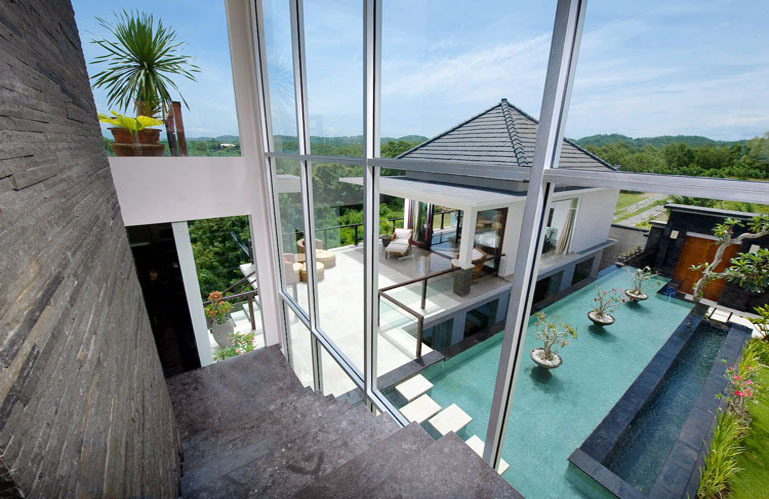 And, installed just above a lush valley, this luxurious house is the ideal place for rest and relaxation. 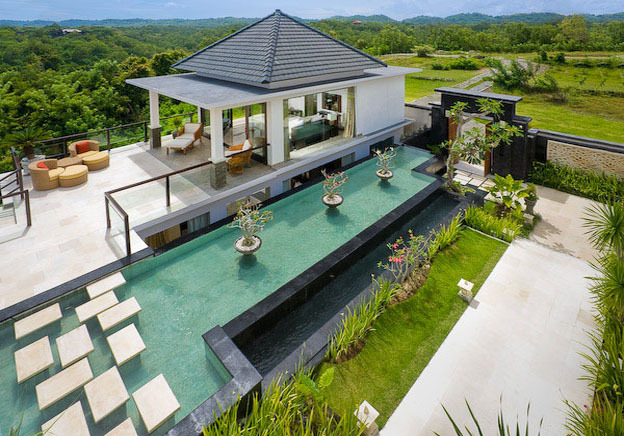 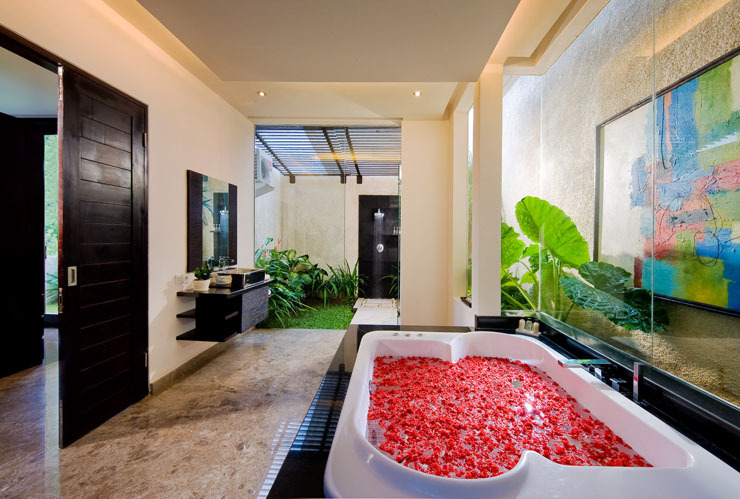 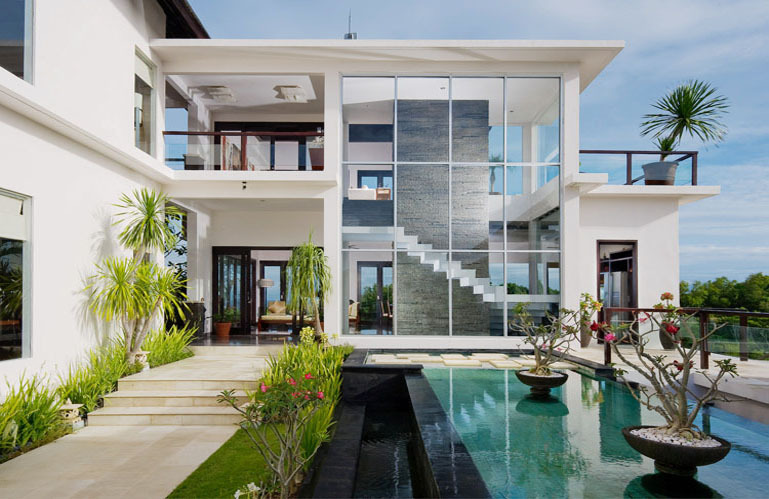 This villa in Bali has all the modern conveniences. 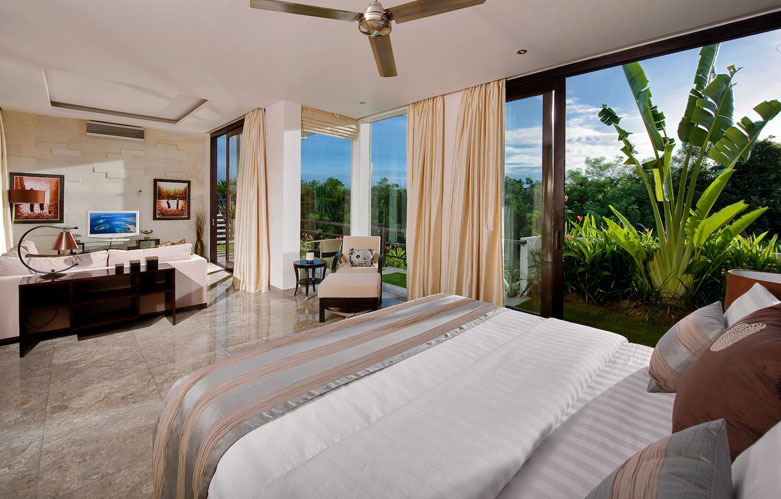 It disposes of 4 bedrooms including a master suite located next to a relaxing waterfall. 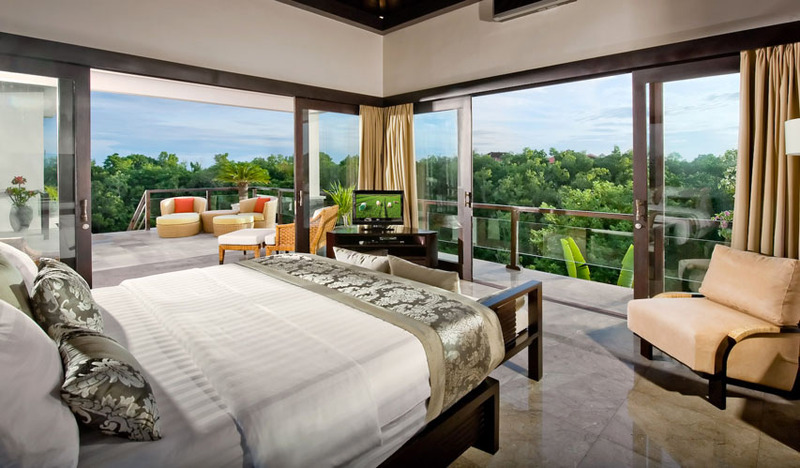 Each of them is uniquely ornamented with artworks depicting the local culture and has private balcony and air conditioning. 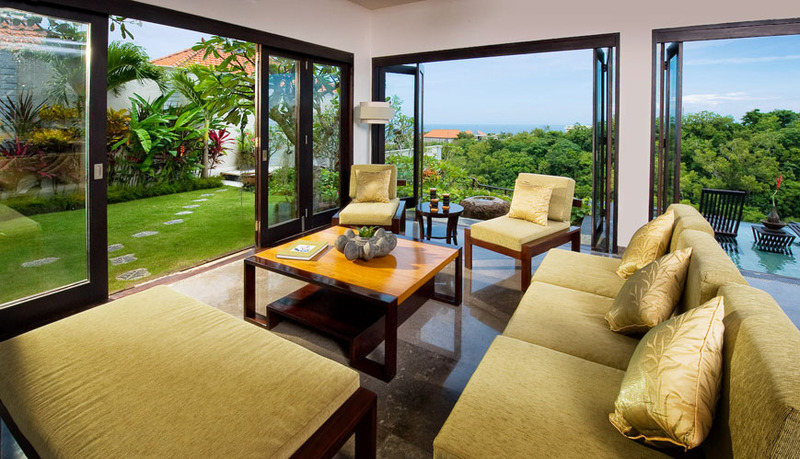 The living, dining and rest room form the central area of the house, giving you access to a breathtaking view of the surrounding wildlife. 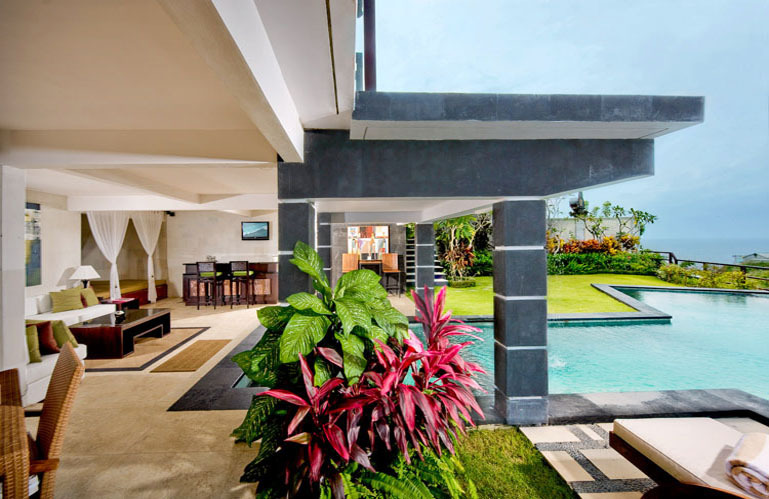 The garden, containing an infinity-edge pool and a bar, is a safe place for children to play. 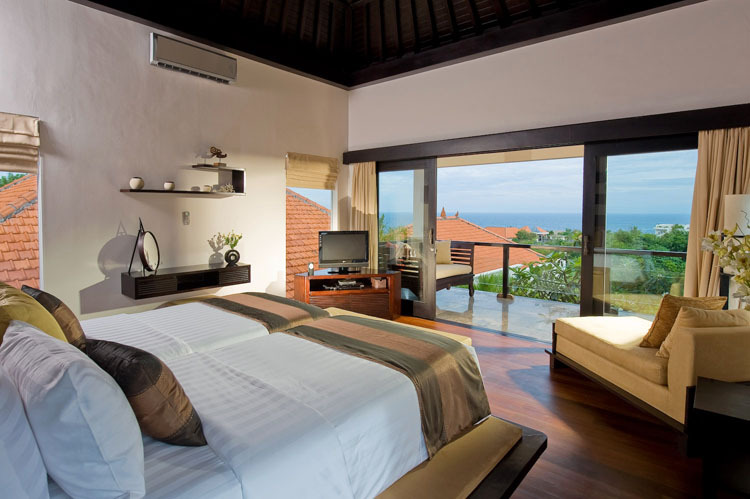 Small villa's characteristic, a terrace is available on the roof of the house to enjoy starry nights. 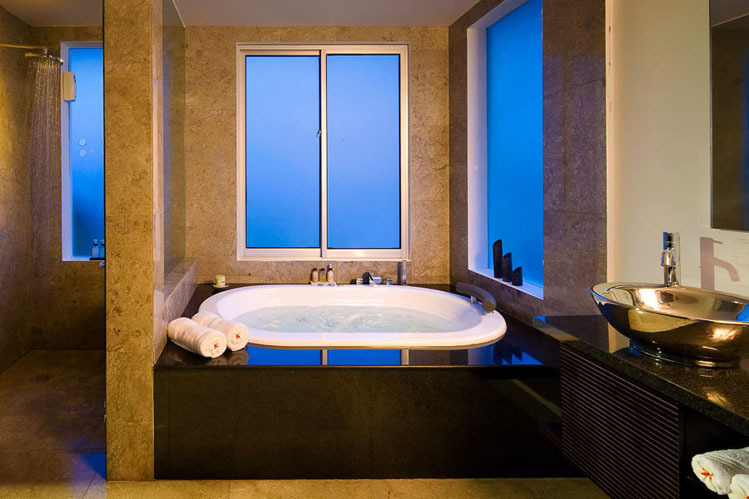 A daily team will handle your comfort during your stay. 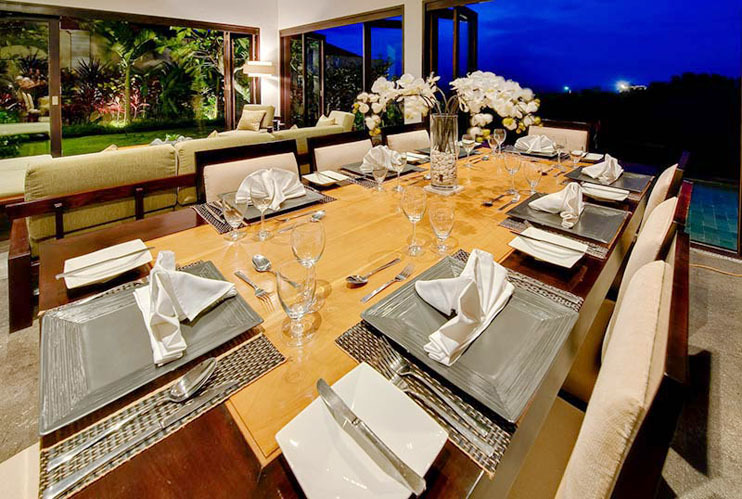 The full-time manager will run two cooks, three maids, two gardeners and two security guards. You can also organize spa sessions and events in association with the house staff. 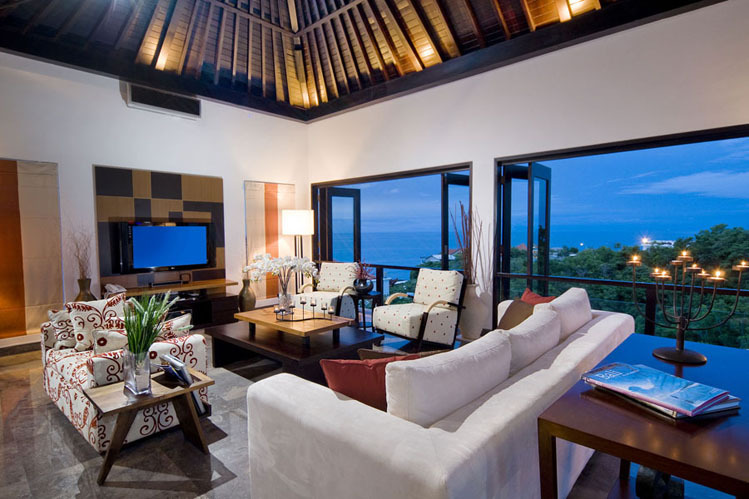 Everything is provided in order to match all your expectations during your holidays. 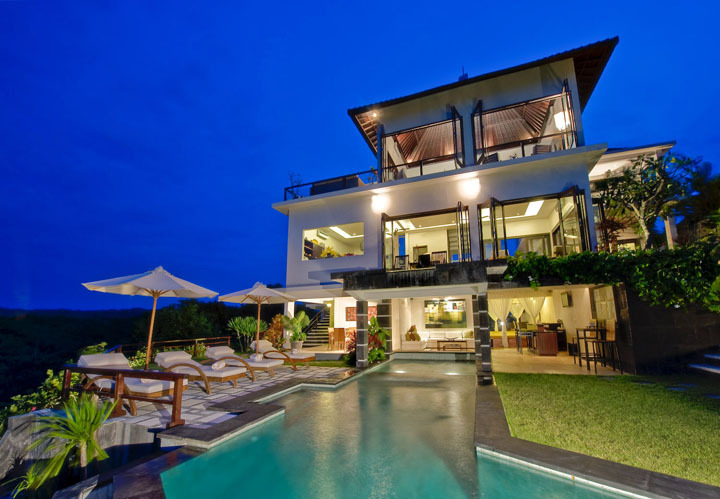 This family house is close to many activities and other dream beaches. 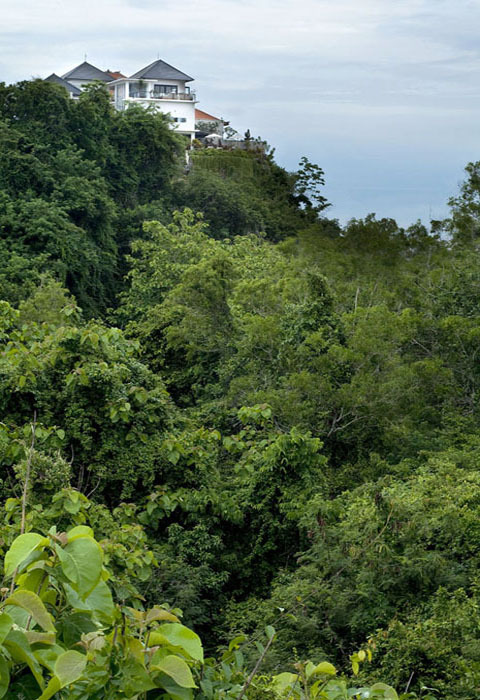 First, the international airport is only at 30 minutes by car. 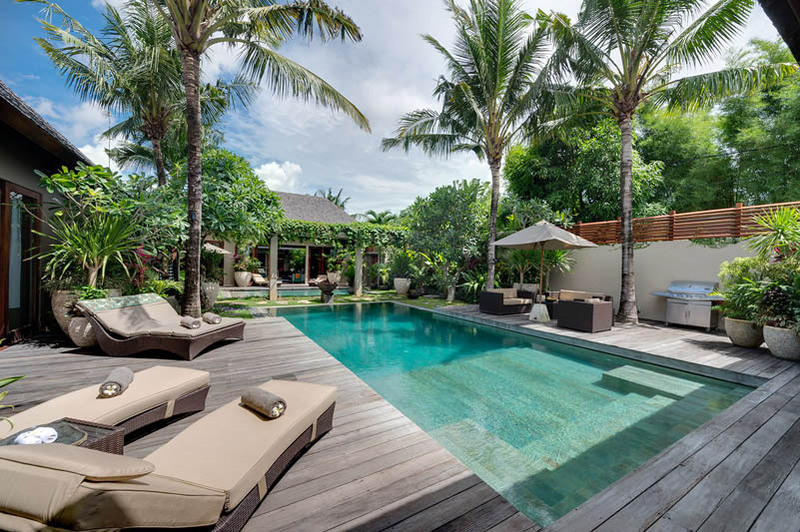 Second, the tourist district of Kuta and Seminyak are around 45 minutes and the north of the Island of the Gods 90 minutes. 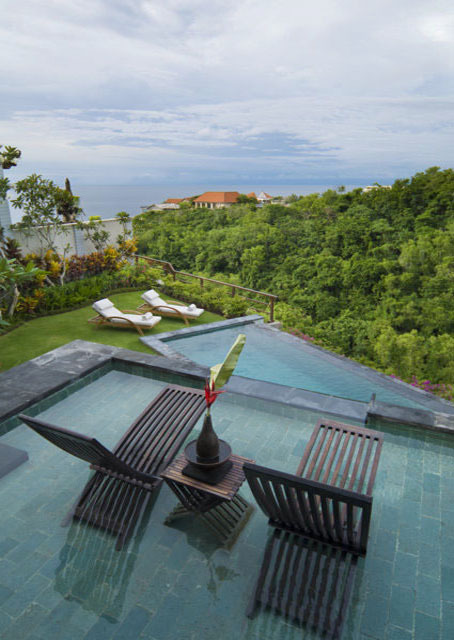 Finally, within a radius of 2km around the villa, known beaches and temples are present. So, it's easy to enjoy what the island has to offer. 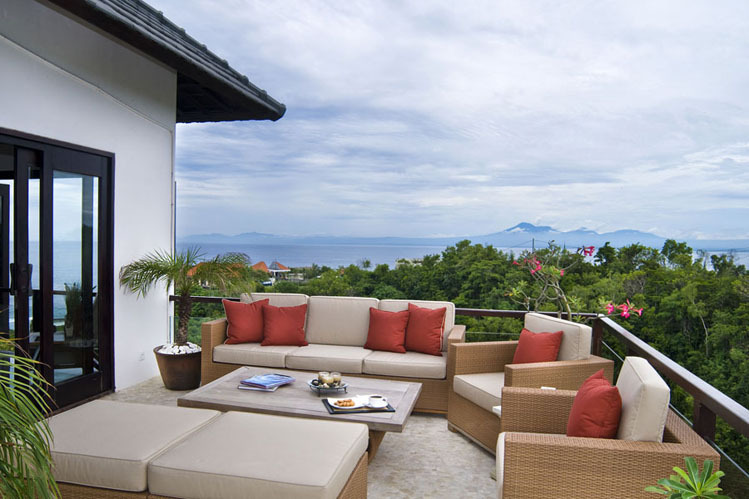 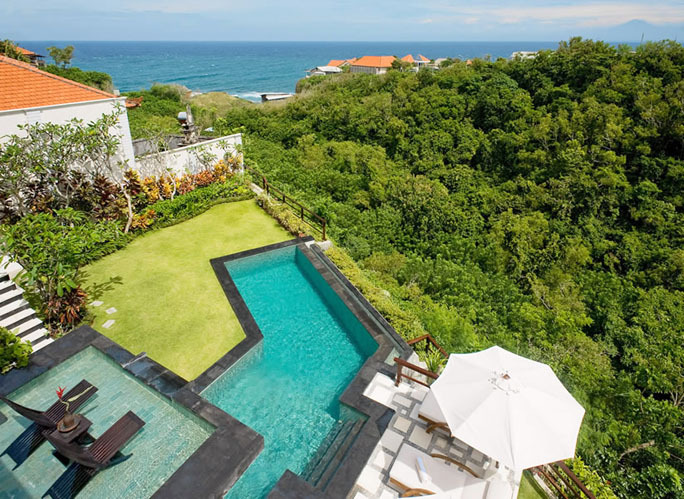 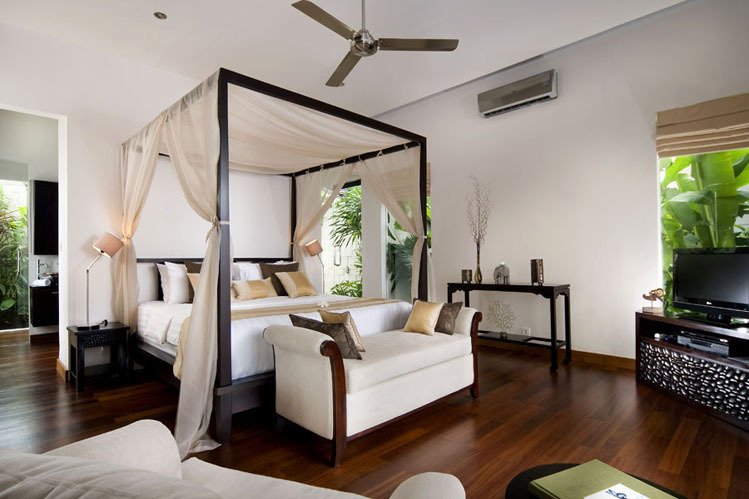 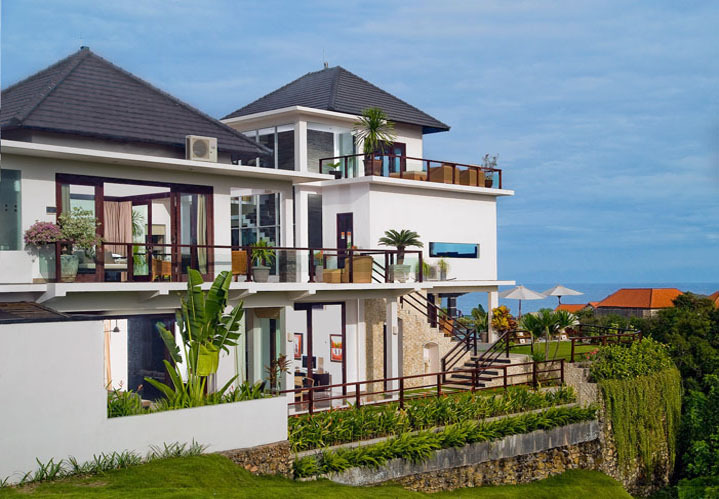 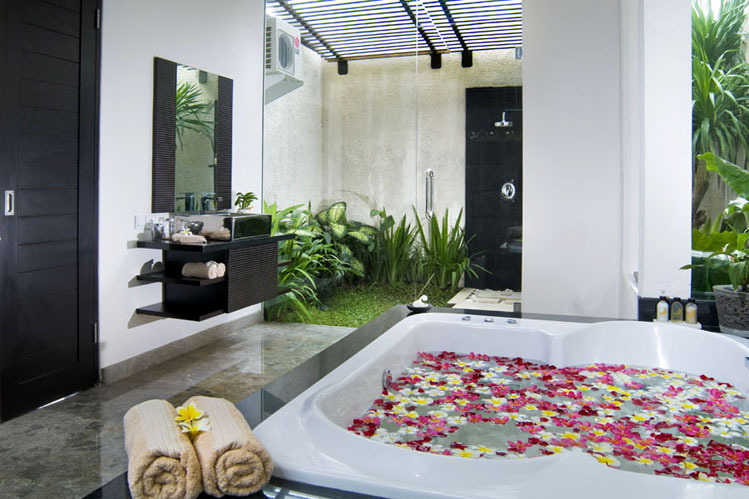 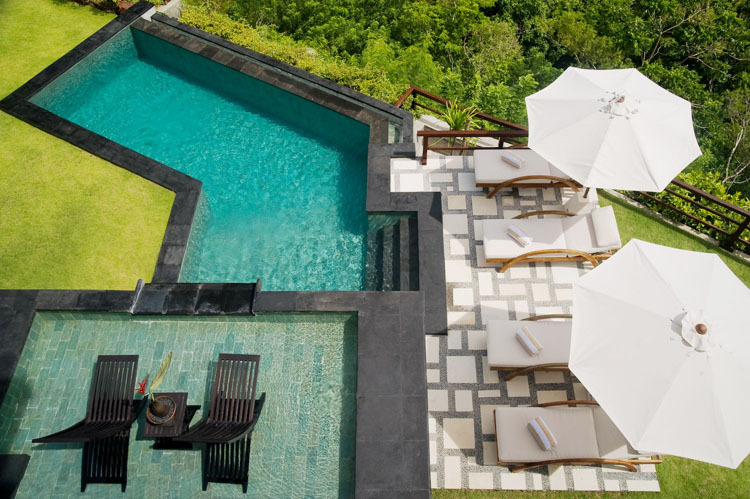 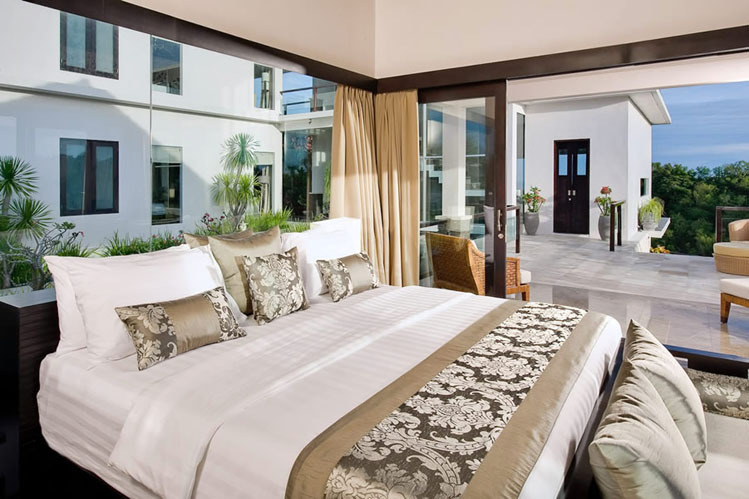 To rent this luxurious villa in Bali is perfect for relaxation and discovery. 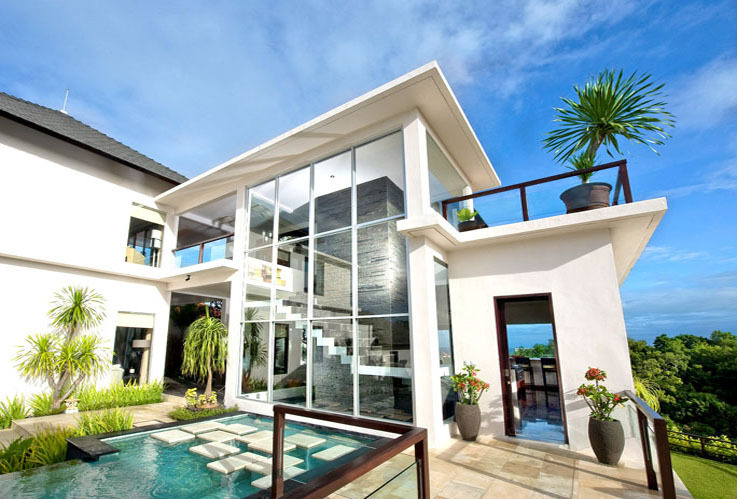 It is ideally placed to favor of a idyllic framework. 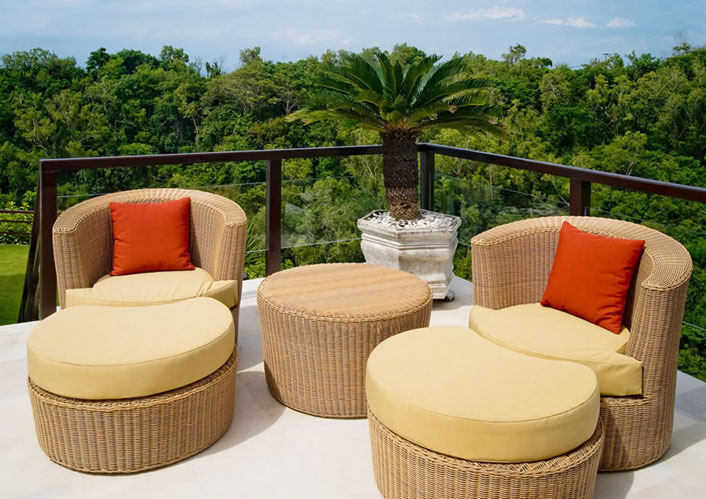 This family rent can accommodate all your family and friends and adapt to all your needs. 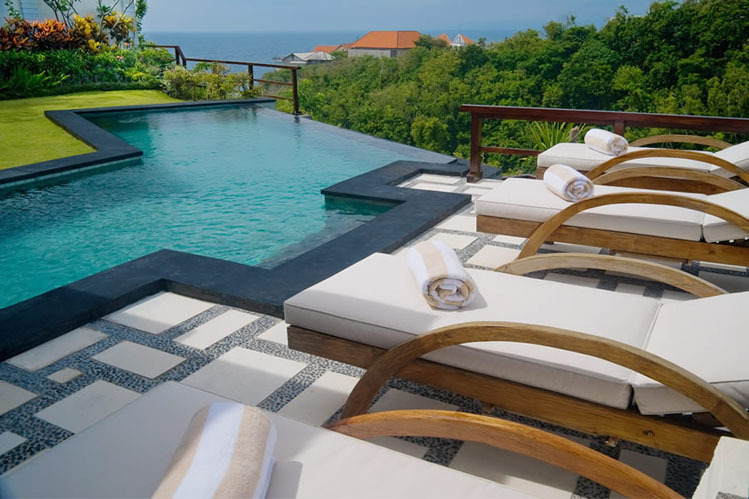 Also, it will make you feel the magic spirit of Bali. 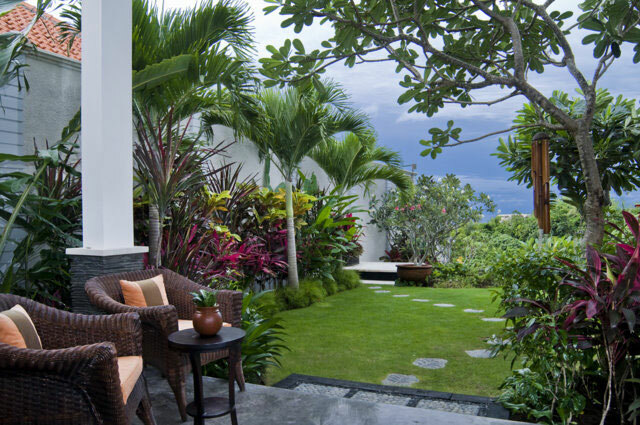 And Bali Je t'aime a villa Bali villa rental agency will always ready to arrange your best holiday.